Panamanian police said Sunday they have dismantled a FARC camp used for weapon repair and production in the Darien region, bordering Colombia. The camp was allegedly being run by the FARC’s 57th front, a rebel fighters unit active along the Panama border. 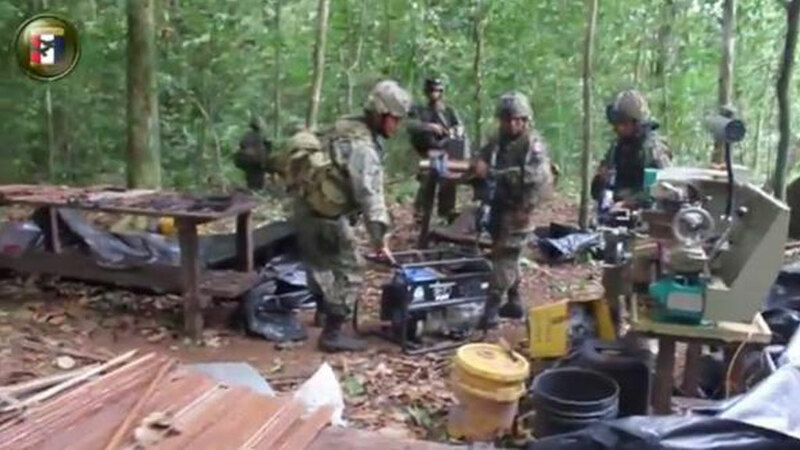 Panama’s State Border Service (SENAFRONT) reported that they had located and dismantled a camp with arms and ammunition. Local television added that there are three detainees in the area of Caño del Mono, close to the border line, where they seized the equipment. “Pieces of assault rifles, M-16 caliber ammunition, a power plant, a hydraulic winch, oil, grease and other materials which were presumably used for the manufacture of military weapons were found, there was also a kitchen, and medical and rest posts where members of the FARC’s 57th front were housed,” detailed Channel 13. Following a military offensive that pushed the FARC into the periphery of Colombia’s national territory in the first decade of the century, guerrillas have increasingly used neighboring countries like Panama, Venezuela and Ecuador to seek safe haven from persecution inside Colombia.